Because the Earth exerts a force on magnets (which, when used to tell direction, we call a compass), you can conclude that the Earth is a giant magnet. 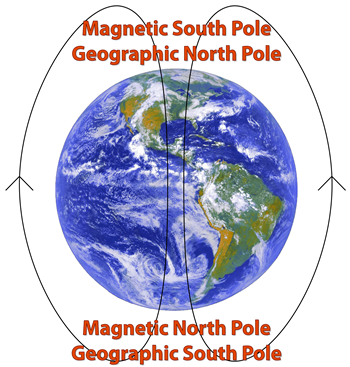 If the north pole of a magnet is attracted to the geographic north pole of the Earth, and opposite poles attract, then it stands to reason that the geographic north pole of the Earth is actually a magnetic south pole! Compasses always line up with the net magnetic field. In truth, the magnetic north and south pole of the Earth are constantly moving. The current rate of change of the magnetic north pole is thought to be more than 20 kilometers per year, and it is believed that the magnetic north pole has shifted more than 1000 kilometers since it was first reached by explorer Sir John Ross in 1831! 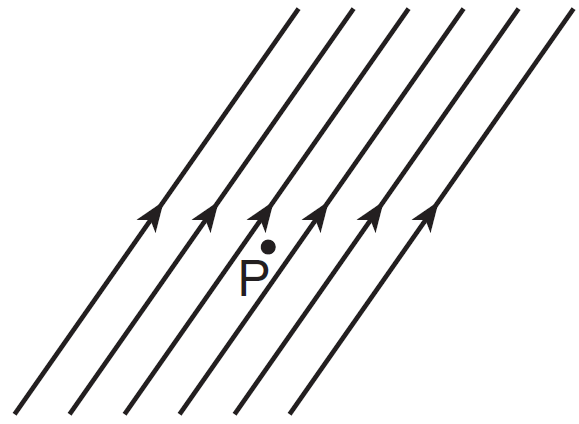 Question: The diagram at right represents the magnetic field near point P.
Answer: (2) Compass needles line up with the magnetic field. 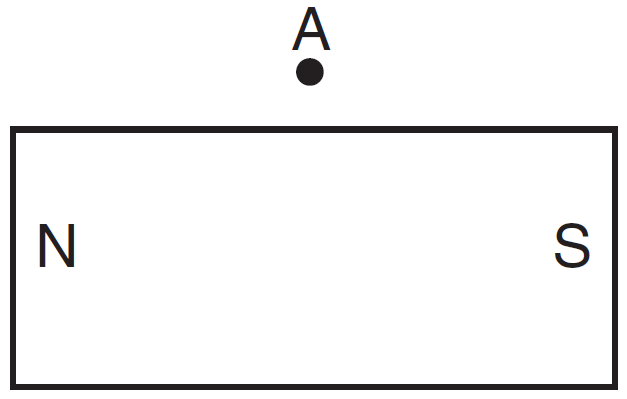 Question: The diagram at right shows a bar magnet. Which way will the needle of a compass placed at A point? Answer: to the right since a compass lines up with the magnetic field.